So we’ve been working on (ph)(f)reaking for over two years now. Originally, it started as a biographical drama on the first hackers: the phone phreaks. 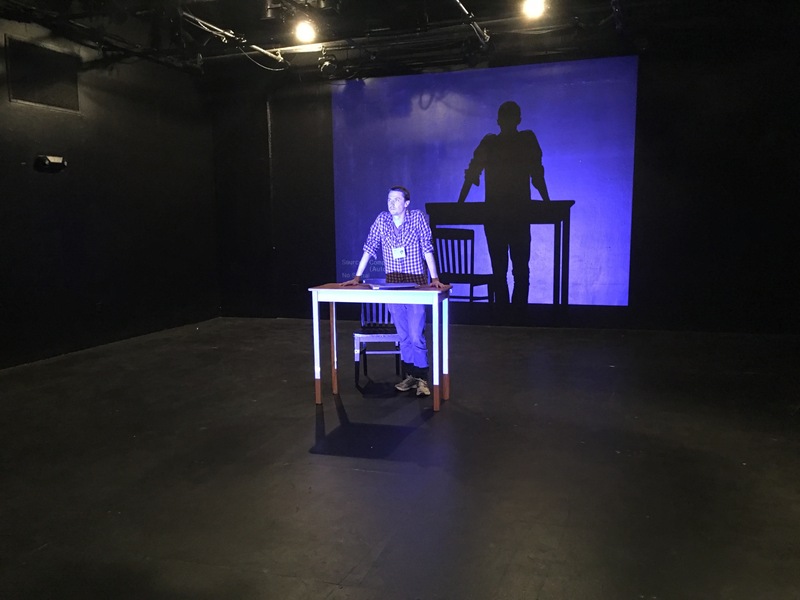 As an ensemble, we have been researching the growth of communication methods, and their subversion, from the first one-to-one telephone lines to the current web of constant connection to the rest of the world. This play talks about spambots, the Red Pill, the Dark Web, and hacking, all of which I consider the dark side of the internet. All of those has a very noble starting place (okay, not all of them…), an idea that could only have been utilized with modern technology. For instance, the Red Pill is a men’s rights activist group that meets and talks about male betterment and picking up women. I would say that it espouses some messed up beliefs, but it’s really cool that the internet allows groups that are mostly shunned by society to talk and feel brotherhood. However, this group talks and acts upon hatred towards women. It can reasonably be said that members who have been influenced by their mindset can and have been responsible for violence against women. Joe comes into the action of the play hurting and upset over a breakup. He takes to the internet seeking to connect and he falls through its depths and is influenced by all of the worst parts. When I was talking to Andrew about Joe, we spent a significant amount of time talking about choice: whether Joe was choosing all of the places that he visits through the night or whether he gets on a waterslide and can’t get off until he gets to the bottom. In preparing for the reading, I’m interested in thinking about the extent to which the internet acts upon Joe – whether he is unrealistically impressionable, or whether he comes into the night with all of these pubescent mindsets… until he falls into the Red Pill. And what happens then? This sounds terrific, unfortunately I live in Oregon LOL. Will this/is this be an audiodrama? If so, will it be released as a podcast?